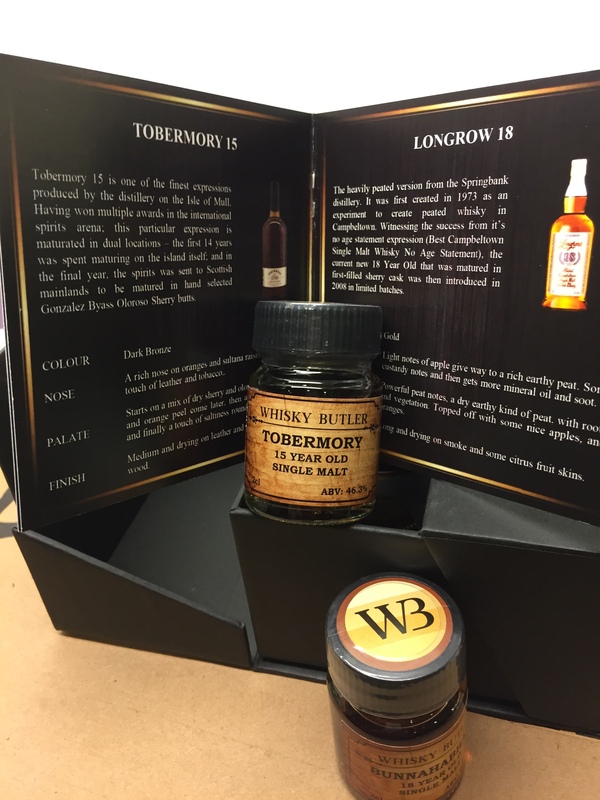 The whiskies: Tobermory 15, Bunnahabhain 18, Longrow 18 and Benriach 25. So we’ve got 2 islanders from Mull and Islay, 1 peated Campbeltown and an older Speysider. This is interesting, we’ve got a mixed bag of maybe island-profile whiskies and Springbank and a old Speysider to toy with. Burns Stewart never really pushed Tobermory’s Single Malt, perhaps given its rather chequered history (closed 1930, reopened 1972!) and problems with warehousing and water. But a revamped core range and renewed attention to its malts this millennium should bode well. Nose: Toffee and bananas, new leather and lots of active oak. Let that blow off a bit and there’s salt air and a wet stoney-ness. Charcoal and broken saplings. Not a huge whisky, in fact somewhat light to me. Also something faintly floral. Waxed brown paper. Palate: More immediate spice and wood on the tongue. Sweet with some orchard fruits and a little hot as well. Lots of charcoal. Getting somewhat musty towards the finish too. Finish: Medium, a little musty, leafy tang. Not an easy easy whisky, this one’s a bit of an eccentric. This one is a benchmark whisky for the unpeated sherried islands style. Probably the jewel of the Burns Stewart portfolio, and also the money maker? Lots of this goes into blends. Nose: Brilliant. Also a lot of caramel and leather, but also spoonfuls of berry coulis. Bunnahabhain’s a big spirit and it easily holds its own: A big oily nutty massiveness heaves about. Melting butter on hot rye bread. Lots of honey on malt biscuits. Again a salty edge. This is a fantastic spirit that does well in any wood. 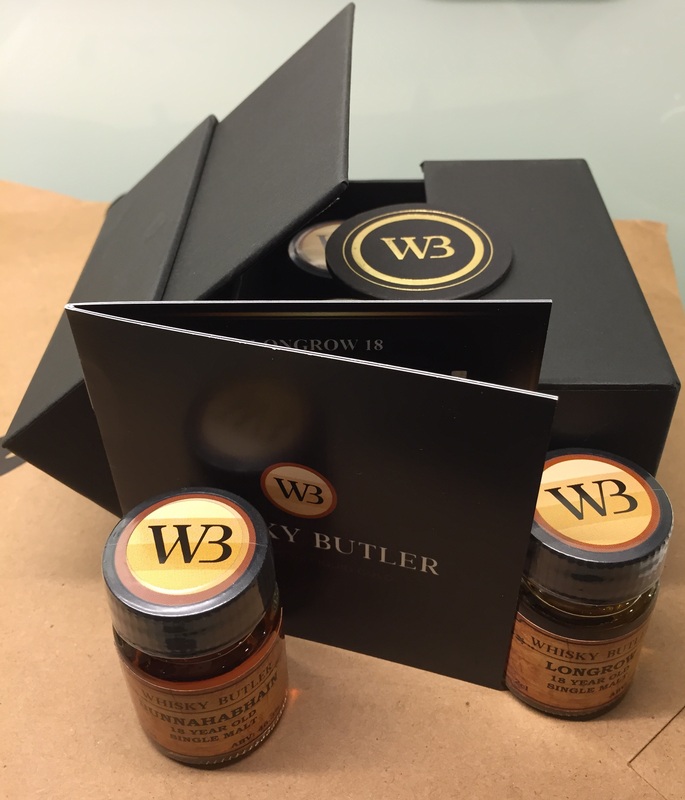 Palate: Quite a bit of richness, and all subtly mixed in – ginger, honey, dried fruit, caramel, wood. Excellent blending malt this is, such a fat round weighty spirit. Touch of salt. Finish: Medium long, malt, bit dry. In another world, with the best sherry casks and focused marketing, this would have been rubbing shoulders with the likes of Macallan. Peated, double distilled Springbank. Also a very well respected expression in its own right. Nose: Peat doesn’t show up at first, instead there’s lots of poached pears and green unripe fruit that’s still at that half sappy half ripening stage. Oily butter. Quite fresh and not at all farmy like some other 2-point-something distilled Springbank. After a while engine oil and some minerality shows up, and it is very good, but its never really full blown peat and smoke. Touch of ‘old ripeness’ as well, how curious. Palate: Much happening here, old books, damp wood, sap and stinging acidic fruit juice and a deep earthy mustiness, engine oil again, smoke maybe but never really hugely peaty. And malt for Longrow is heavily peated? Finish: Long, touch smoky now, but full of these very musty earthy medicinal-herby notes. Very different and very good. I learnt rather belatedly that these batches from distillation in the late 90s had reduced peat levels, which I think is a boon here. Honestly exceptional stuff. Benriach, rescued from obscurity in 2004 by Billy Walker and what a turnaround. This was distilled during Seagrams ownership, and before the zombie half dead years under Pernod Ricard from 2001-2004 when it distilled a mere couple of months a year. Nose: Quite fresh for a 25 year old. squeezed out oranges, toast and marmalade, the wood is subtle with lots of honey, cinnamon, nutmeg and some aniseed. Breakfast fruit platter. Hint of chocolate. Palate: More weighty on the tongue. Tad spirity and sharp for a 25er! Reveals oak influence, and sour fruits that must have been mistakenly topped with white pepper. After that blast finally develops on more subtle wax and polish notes. Finish: Medium, sort of light and dry, much more of those waxy bookish notes. 25 in age but mid teens in character. 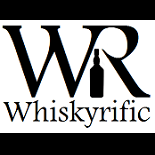 This entry was posted on February 21, 2016 by Whiskyrific in Benriach, Bunnahabhain, Longrow, Springbank, Tobermory and tagged Benriach, Bunnahabhain, Longrow, Springbank, Tobermory, Whisky Butler sets.